The Phantom 4 Pro controller^ is integrated with upgraded Lightbridge HD video transmission technology enabling 4.3mi (7km) transmission. A 5.5-inch 1080p DJI monitor is also integrated on DJI Phantom 4 Pro + models, offering 1000 cd/m² of brightness, more than twice as bright as conventional smart devices. Bright, vivid colours are easily visible even in direct sunlight. Using Gesture Mode, selfies can be captured easily using a few gestures without the remote controller. Advanced computer vision technology allows the Phantom 4 Pro to take instructions through gestures. The subject simply lifts their arms when facing the camera and the aircraft will recognize this movement by locking on and placing the subject in the centre of the frame. When ready for a photo, the subject holds their arms out to signal the aircraft. A three second countdown will begin, making time to strike a pose, allowing moments to be captured without the remote control. The DJI Phantom 4 Pro plus Drone was added to the Drones category in June 2017. 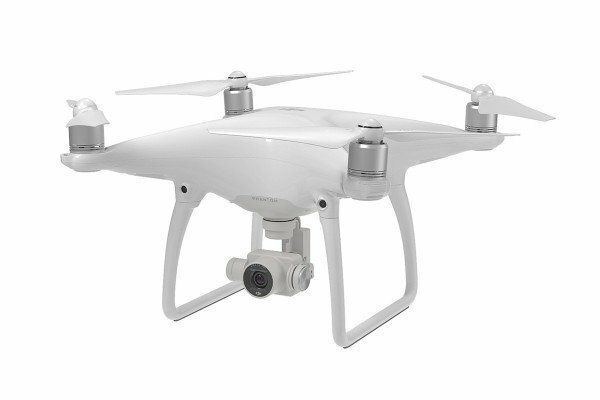 The lowest price GetPrice has found for the DJI Phantom 4 Pro plus Drone in Australia is $2,435.00 from Digital Camera Warehouse. Other merchants who stock it are Digital Camera Warehouse, Amazon AU.